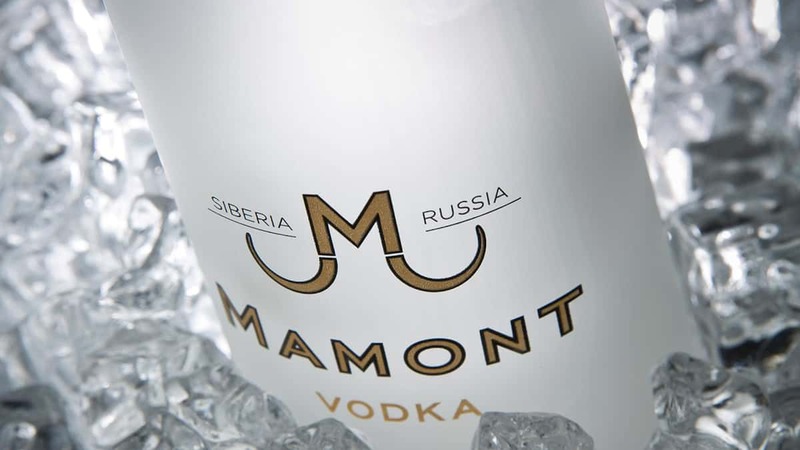 Inspired by the discovery of an 18,000 year-old Yukagir mammoth in Siberia, in 2013, Mamont Vodka is an ultra-premium, six-time distilled Siberian vodka. Awarded a gold medal in the International Spirits Challenge 2018, Mamont is packaged in a unique tusk-shaped bottle, produced at the Itkul Distillery – one of Russia’s oldest distilleries. Distilled at the foot of the Altai Mountains by a team of skilled craftsmen, Mamont Vodka is produced using only traditional methods and natural ingredients local to Siberia. Founded in 1868, Itkul Distillery is Siberia’s oldest, and the only distillery in the whole of Russia to produce alcohol from pure malt. In Mamont’s production, the finest Siberian white winter wheat is first selected and carefully fermented then blended with water from the Altai Mountain springs, renowned throughout Russia for its purity. This blend is then distilled six times before a small proportion of cedar nut spirit is added to the liquid, which is then triple filtered through Siberian silver birch charcoal. The result is a refined, crystal-clear vodka. On the nose, Mamont Vodka has initial aromas of sweet vanilla, joined by subtle whiffs of cedar nut. The immediate sweetness is also joined by some light caramel, nougat and marshmallow notes, complete with a whisper of banana. Sweetness continues on the palate, with the soft, full spirit having an expansive mouth coating character vaunting nuances of apple before some intensified heat from the nutty grain prevails. This then opens up for a smooth, dry finish – hot with an additional hint of sweetness alongside some light, lingering spice, specifically star anise. Enjoyable chilled and sipped neat, or as the base to a variety of cocktails such as ‘The Imperial Mamont’ (recipe below), or a classic Dry Martini. Mamont Vodka is available online from Amazon, The Whiskey Exchange, Master of Malt and The Drink Shop. RRP from £35.99, 70cl. Combine the Mamont Vodka, pressed apple juice and spice-berry cordial and shake. Strain in to an ice-filled high-ball glass and top with a dusting of ground cinnamon. Garnish with a slice of apple, a sprig of mint and seasonal berries.